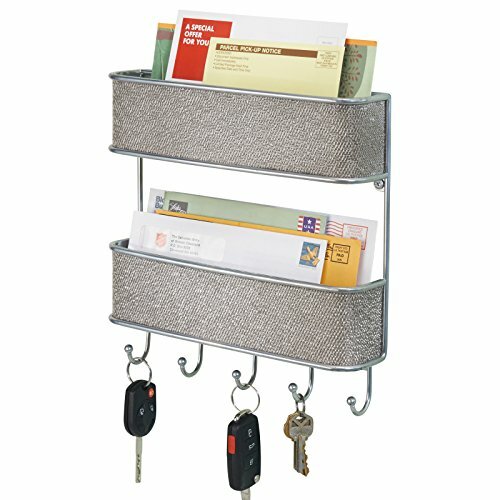 The mDesign 2 Tier Mail Center conveniently stores keys, leashes, and mail all in one location! Perfect for kitchens, mudrooms, and foyers. Wall mounting hardware is included.